War on the Eastern Front presented many problems for the German Army, not least superior Soviet tanks, specifically the T-34. In the short term this was solved by the production of self-propelled antitank guns. The Panzerjäger 38(t) was one such vehicle. As the Panzer 38(t) was obsolete as a battle tank and too slow for a reconnaissance vehicle, the chassis were singled out for conversion to gun carriages. An order dated 22 December 1941 called for production of 17 vehicles per month, beginning on 24 March 1942, with an increase to 30 units per month from July. A total of 344 were produced between April and October 1942, a further 19 Panzer 38(t) chassis being converted in 1943. Armament consisted of the 76.2mm Pak 36(r) L/51.5 gun, which was the Russian FK296 gun rebuilt to fire the German Pak 40 cartridge. Large numbers of this weapon had been captured during the German invasion in June 1941. 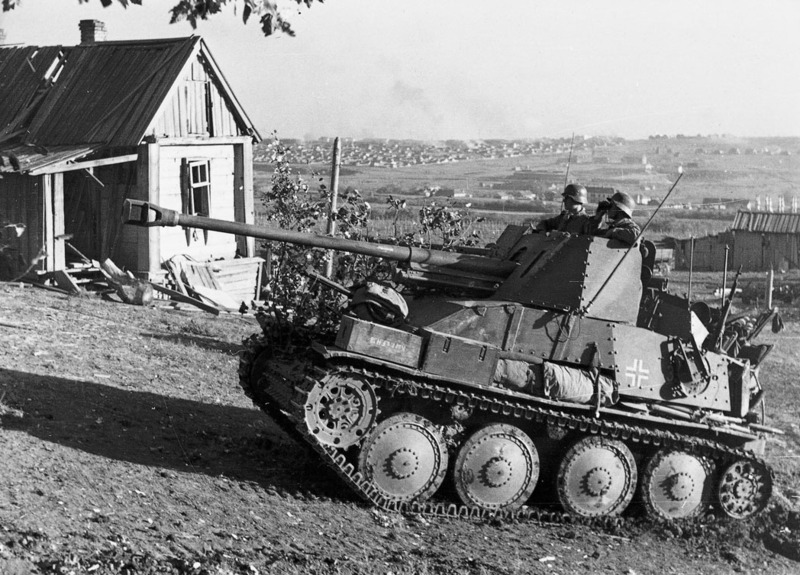 The Panzerjäger 38(t) served mainly with antitank units on the Eastern Front, though 66 also served in North Africa with the 33rd and 39th Antitank Battalions. These vehicles arrived in-theatre between July and November 1942. Compared to later German antitank vehicles, the Panzerjäger 38(t) had a high silhouette and the crew was very exposed.